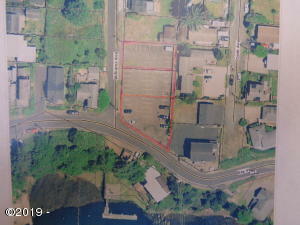 3 level tax lots located in the heart of Downtown Depoe Bay on the corner of NE Williams and NE Bay Street. Site includes potential ocean/bay views and has great potential for development. Property is zoned R-4 and present numerous opportunities for condos, apartments, etc. Check with the City Planner for additional approved uses. Directions Highway 101 to downtown Depoe Bay, east at the traffic light, property is on the NE corner of Bay Street and Williams Ave.